Amtrak & The Secret Life of Pets Kicks Off Nationwide 'Pets Ride Free' Promotion with Watson the Jack Russell Terrier, First Pet to Ride Free! 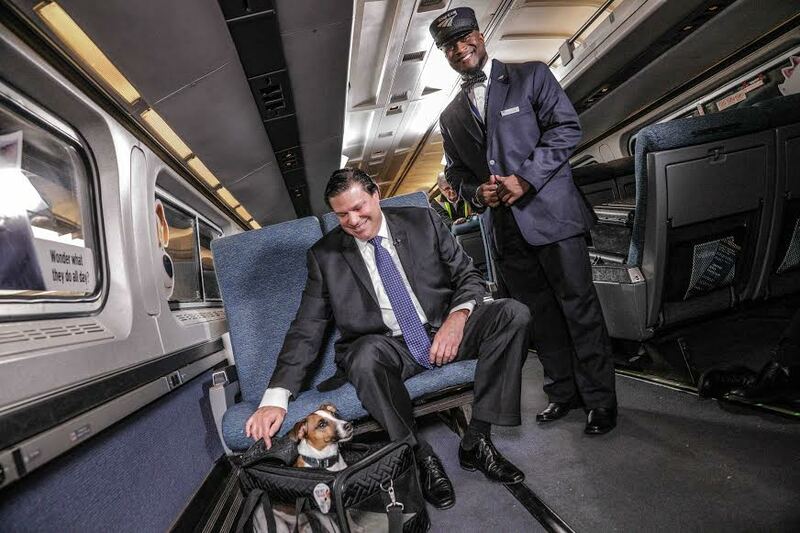 Watson the Jack Russell Terrrier was the first pet to board an Amtrak train for free at Union Station in Washington, D.C., and was escorted by Jason Molfetas, Amtrak Executive Vice President, Chief Sales and Marketing, on December 6, 2016 in celebration of The Secret Life of Pets on Blu-ray and DVD out now. Universal Pictures Home Entertainment and Amtrak recently announced the 'Pets Ride Free' promotion in celebration of The Secret Life of Pets on Blu-ray and DVD, and to kick off the launch of the promotion, Watson boarded Amtrak as the very first pet to ride free. The offer will be available to customers to book now through December 11, 2016 or while supplies last, and allows pets to travel at no additional cost on participating Amtrak routes from December 9, 2016 through March 31, 2017. The Secret Life of Pets, starring Eric Stonestreet, Kevin Hart, Lake Bell, Jenny Slate, Louis C.K. and Ellie Kemper, is now available on Digital HD, 4K Ultra HD™, Blu-ray ™ 3D, Blu-ray, DVD and On Demand.